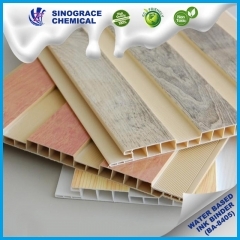 BA-8406 water-based polymer, designed for ink on polar substrate, such as PVC、treated PET、PS, and treated non-polar substrate（PE、PP、OPP、BOPP, etc.） Good adhesion, good water-resistance and scratch resistance, excellent weatherability. Can’t be used as pigment grinding emulsion. 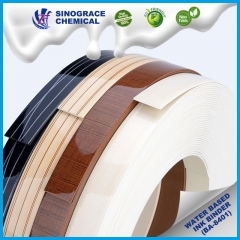 BA-8405 water-based polymer, designed for ink on polar substrate, such as PVC、treated PET、PS, and treated non-polar substrate（PE、PP、OPP、BOPP, etc.） Good adhesion, good water-resistance and scratch resistance, excellent weatherability. Can’t be used as pigment grinding emulsion. BA-8401 water-based emulsion, specially designed for ink on polar substrate. 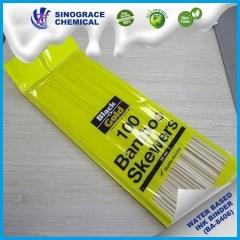 Good adhesion, good water-resistance and scratch resistance, excellent weatherability. 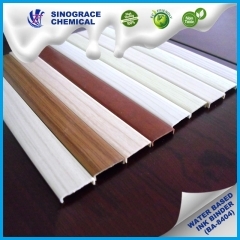 Applicable to soft PVC, PVC film, PVC hard plastic floor, PVC edge stripes and other PVC water-based ink production. After ink dry, excellent alcohol wiping resistance. Can’t be used as pigment grinding emulsion.